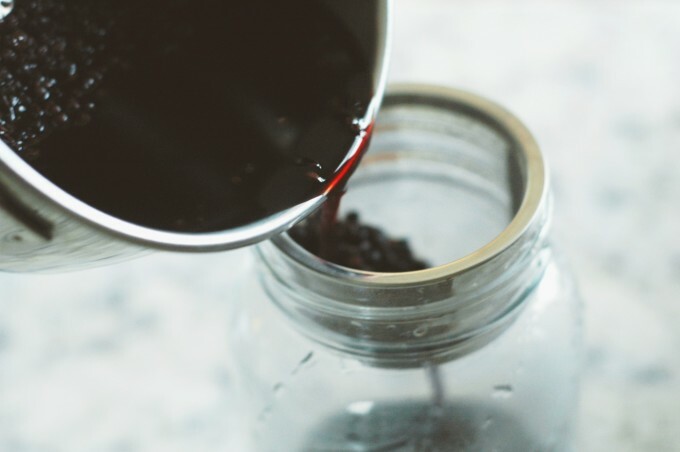 Carrying on with our new found love for shrubs (seriously considering a soda stream for sparkling water), we decided to try making an elderberry shrub syrup. 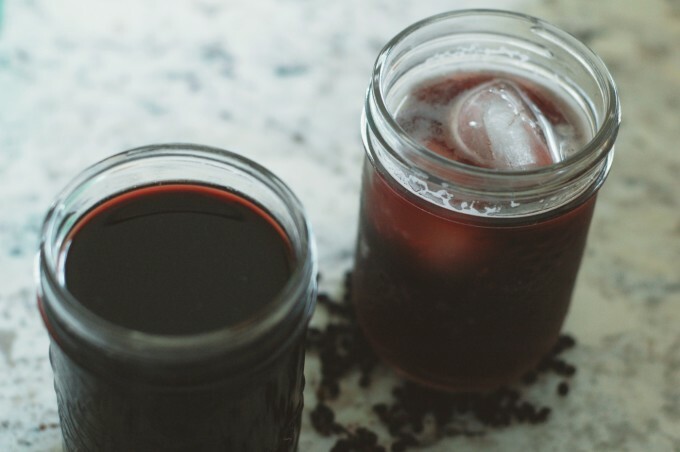 A couple (tiny) folks in our home are not huge fans of elderberry flavour, but if you like elderberry you’ll enjoy this drink. We ended up blending some elderberry with some grape for a happy compromise and some immune boosting power in our fizzy grape drinks! 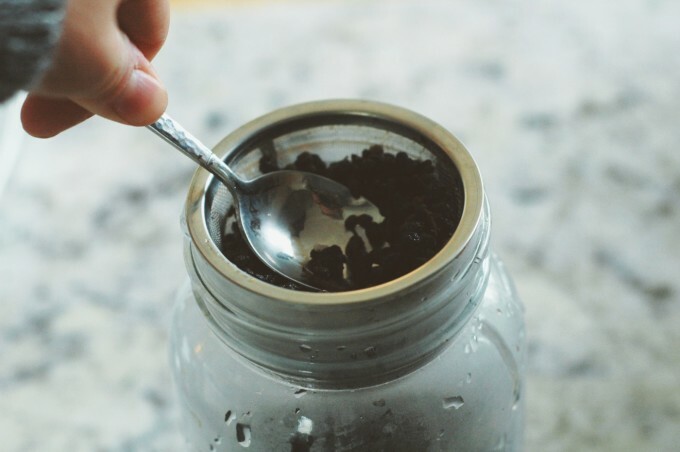 // Simmer 1/3 cup dried elderberries in 1.5 cups of water for 30-40 minutes or so (however you would normally make elderberry syrup in your home!). // Strain the berries out of the liquid. You should have just over a cup of liquid left. // Add 1/4 cup of apple cider vinegar and about a tablespoon or two of honey, depending on how sweet you’ll want it. 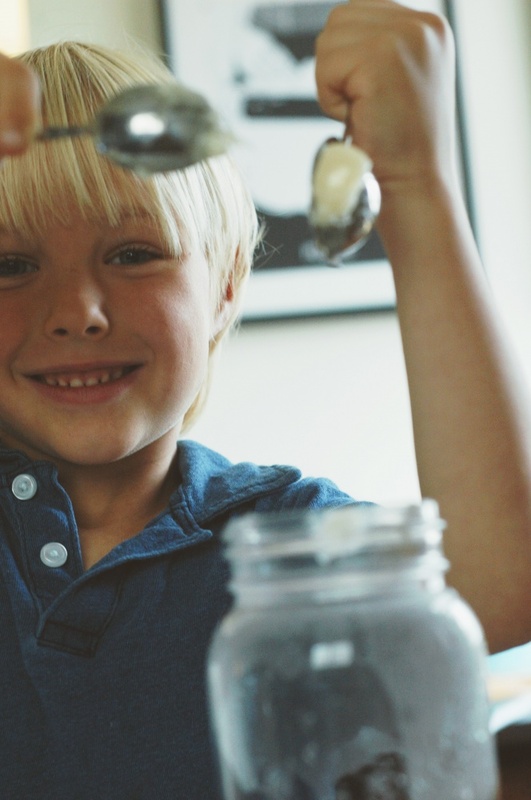 If you’re using a good raw honey, I wouldn’t worry about adding too much, particularly if your kids will actually drink it if it’s on the sweeter side. 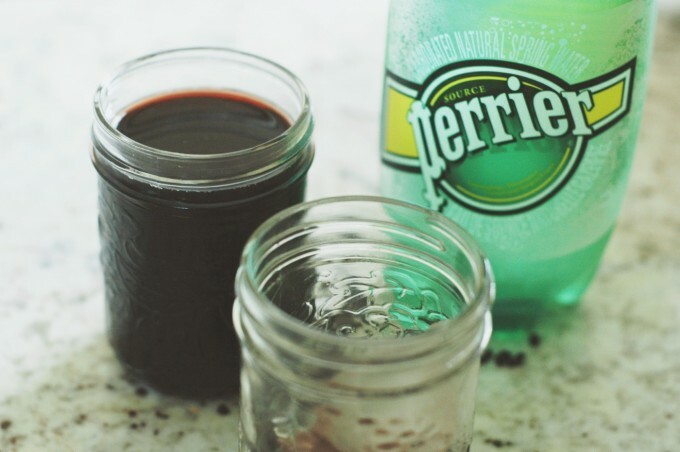 // Pour into a canning jar and keep in the fridge for up to a few months. 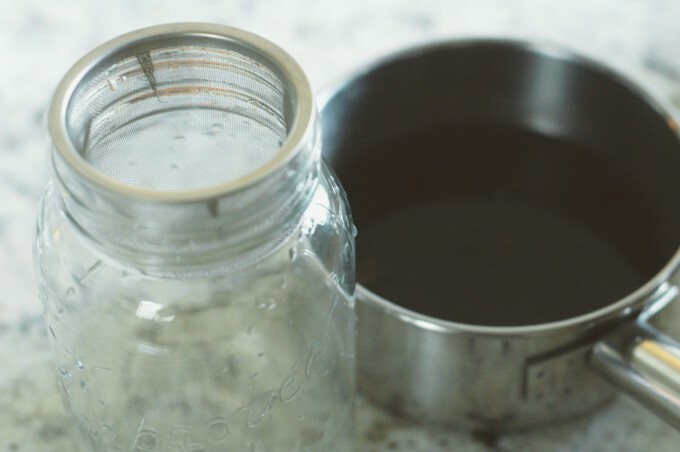 To enjoy, pour some of the shrub syrup over ice, add any other shrub syrup or juice that you’d like to mix in to about half-way up the cup, and top off with sparkling water.